IAA spoke with Shanmugavel Subramaniam, Schneider Electric’s Water Segment Leader for East Asia & Japan, on what defines their vision, strategy and ambition in the water & waste water segment in the region. Tell us about yourself and your role in Schneider Electric. 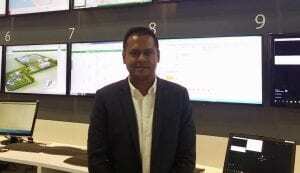 I have been with Schneider Electric for 17 years, and my core expertise is in automation. Previously, I worked in France with Schneider Electric’s technical support and Research & Development (R&D) team, before managing the automation team in Malaysia, working directly with end-users across Asia. I am now part of the water and wastewater segment, leading the team in East Asia & Japan. What’s your view on the water segment in the region? The population in Asia continues to grow at a rapid pace, and it is essential to provide clean and affordable drink water, while ensuring that our water systems in cities remain smart too. Countries in Southeast Asia such as Singapore, Indonesia, and Vietnam are all at different stages of digital transformation. In Singapore, the water sector is well developed and at the forefront of water management and operations. 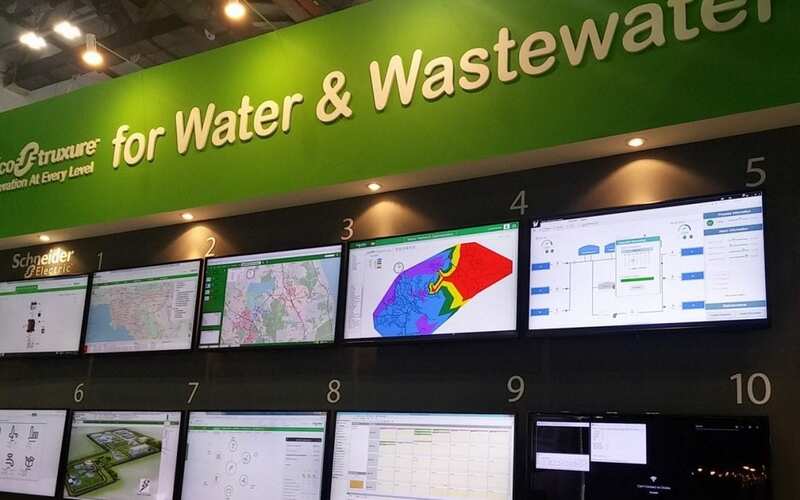 In Malaysia, Thailand and the Philippines, there is a growing adoption of digital solutions for the water segment, while in countries like Vietnam, Myanmar and Laos, water technologies are still at the infancy stage. The water industry demands high levels of efficiency and visibility to manage different water networks, optimise energy, and reduce resources. Developing proper infrastructure and optimising them with digital solutions is important to providing a reliable, safe, efficient, and sustainable water supply to consumers. With IoT and digitisation, the industry can achieve greater uptime of their systems by ensuring efficiency and reliable distribution of power, from utilities, through transmission networks to equipment components. Could you share with us the technology by Schneider Electric in water management? At Schneider Electric, we are helping companies across all industries, including the water industry to adopt digitisation. We do this by enabling companies with an open, IoT enabled architecture within their current business models, known as EcoStruxure, which serves as a digital backbone delivering enhanced safety, reliability, efficiency, sustainability and connectivity. We leverage our advancements in IoT, mobility, sensing, cloud, analytics and cybersecurity technologies to deliver Innovation at Every Level. There are three layers – connected products, with embedded intelligence for operations; the edge control, which collects data and provides control at the edge of IoT network; and apps, analytics and services, the most important layer that analyses data to make operations smarter while empowering operators and supporting water utilities in making key business decisions. We have a broad portfolio of water solutions that include network and loss management systems, leak detection, energy and process optimisation, storm water management, wastewater management, and urban flooding prevention. Shanmugavel Subramaniam, Schneider Electric’s Water Segment Leader for East Asia & Japan. What are the challenges that water and wastewater companies face in today’s digital age? As the water utilities segment moves towards digital transformation, it is necessary to consider the performance of areas such as products and digital assets. One prominent challenge in the water industry is ageing infrastructure. Over time, water pipes and pumps, which are key assets, will need to be replaced or renewed. For plant operators, maintenance and management of equipment is a key priority to prevent any operational downtime. There is a need for old equipment to be smart. Balancing the needs of maintaining the old and investing in new equipment. You need to have various smart equipment and able to integrate them together. Hence, there is a need to have visibility on the product lifecycle, and connectivity across multiple systems so that operators can monitor remotely for maintenance and improve energy efficiency. Besides digitisation of equipment, companies are faced with the challenge of upskilling talent towards digital to stay competitive. For example, both existing and young talent have to integrate and adopt new skills. The former usually takes on a more hands-on approach in operating machinery, while the latter is more tech savvy. When you are driving towards a digital transformation, change management in the workforce is an important driver. There is a need to find a balance between the different skillsets of these generations and have the ability to transform people to drive digitalisation. Another challenge is economies of scale, as water is not a lucrative business like the oil & gas industry. It is still dependent on countries in their effort, economically, to transform towards digital. This looks into prioritising their investments and focusing in key problematic areas with justifiable returns. How do you address the challenges the emerging economies face in digitalising their water segment? That’s a good point raised. There are major banks and financial institutions such as the Asian Development Bank and World Bank that focus on digital transformation and provide funds to emerging countries to build new plants and networks of pipelines. These banks are starting to have smart technology departments and are looking into bringing digitalisation into the developing countries as well as the emerging economies. Schneider Electric actively takes part in these forums and workshops organised by ADB and WB, to share our knowledge and expertise in technology, innovation and solutions. As for workforce development, an example of activity that Schneider Electric has been doing is close engagement with end users in developing countries. This includes conducting joint technical workshops to educate them on new technologies addressing Schneider Electric’s solutions.